Accessed via the impressive wooden gates of the north façade the Inner Courtyard is the core of the house which appears to have been an integral part of the plan since the buildings earliest foundations. The form of the medieval house is not clear, but the east range (on the left as you enter through the arch) probably embodies the earliest architectural remains. The Tudor bay window rising through two storeys appears to have always had one section blocked and always to have lit rooms on two floors. The house evolved through the Tudor and Georgian periods to the mansion it is today. A number of the rooms used by the family during their day-to-day lives are open to the public; curated by a number of volunteer guides during house open days. As a minimum seven of the rooms are open to the public on House Open Days, each with its own unique style. 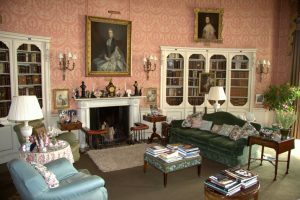 Deene Park has a mixture of furnishings and family possessions full of sentimental value collected over many years. The unique blend provides the visitor with an impressive yet intimate ambiance; a family home spanning the lifetime of many generations. 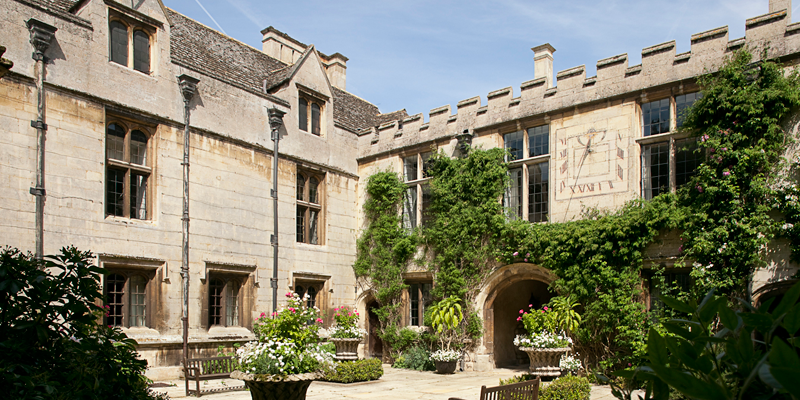 Below are brief introductions to four of the rooms of Deene Park. In 1572 Sir Edmund Brudenell wrote in his diary ‘laid the foundations of my haul at Deene’ enlarging the Great Hall to its present size an appearance. The panelling on the east wall is decorated with the coat of arms of Edmund and his wife with an unusual frieze of an arabesque pattern. Stained glass showing various family coats of arms was installed in the early seventeenth century, safely restored in 1959 after being damaged in 1943 during World War II. Various portraits adorn the walls of this most impressive Great Hall. This is the first of a sequence of rooms added to the south elevation of the house in the late eighteenth or early nineteenth century, built on the site of the old service wing which was demolished sometime after 1746. This room now contains most of the library of the family who during the sixteenth and seventeenth centuries were of a scholarly inclination. Many of the books belonged to the 1st Earl of Cardigan, who was infuriated when his whole library was taken away to London by Cromwell’s troops after they sacked the house in 1643. This room used to be hung with pale blue silk, a fragment of which can be seen in a frame, following the occupation of troops during WWII the silk covering was in tatters. When the room was redecorated in 1966 it was too expensive to have the old silk copied so wallpaper was used. The gilt fillet used to cover the nails holding the silk in place was reused giving an indication of what it would have looked like in its original state. 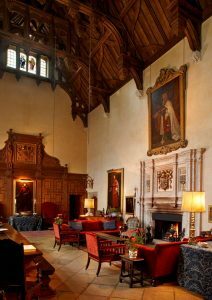 The picture over the fireplace is of Mary Tresham, wife of the 1st Earl of Cardigan. Housing a picture over the fireplace of the 7th Earl of Cardigan on ‘Ronald’ his charger leading the Charge of the Light Brigade in 1854 by de Prades, The Dining Room is a celebration of the family history which forms the backbone of Deene Park.